Working in the garden for any length of time can create a huge amount of green waste; even one day in the yard can lead to bag upon bag of branches, weeds, broken pots and garden furniture. Some people opt for a green waste skip, however if you have a large amount of rubbish, hauling this into a skip can prove to be a mammoth task. This is where our green waste removal service comes in. We can save you time, stress and even injury! Not only can we can load up our truck with whatever needs to go, but we can also crank up the chainsaw and lend a hand with pruning or removing trees. 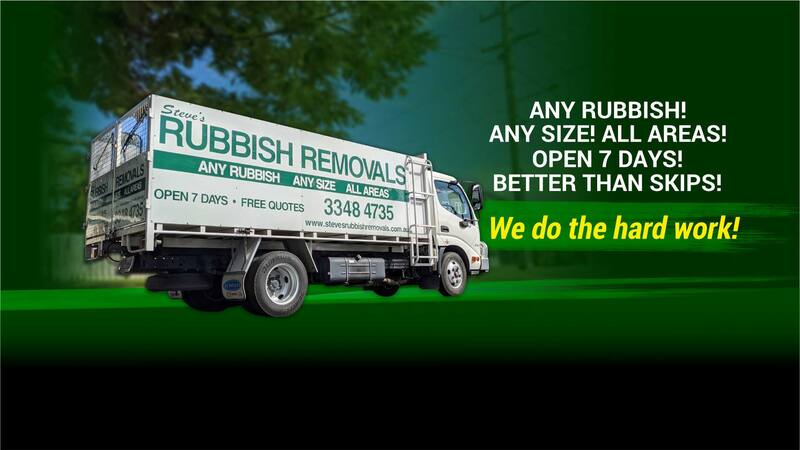 With more than a decade of experience in servicing Brisbane city, we are well-versed in dealing with green waste of all shapes and sizes. Removing garden waste has never been easier. We will demolish any extra-large items first before loading on the truck. There’s no need to hire a skip or trailer, get council approval or annoy the neighbours!